If you ever spend New Year’s in Vienna (which Walter Cronkite loved to do and I highly recommend), you may find yourself wandering past the clean-up crews of the Christmas market at Rathaus and under others hanging up colorful banners across the Graben to mark the lanes of the New Year’s path. And while you mosey across the cobblestones still humming Still, Still, Still, you may suddenly also notice trinket stands popping up on every corner and in every subway station like mushrooms sprouting up in the forest after a rain. And if you stop to take a closer look, you will notice those stands selling dime-sized charms of four-leaf clovers, chimney sweeps, lady bugs, horseshoes, and… pigs. Don’t get me wrong. 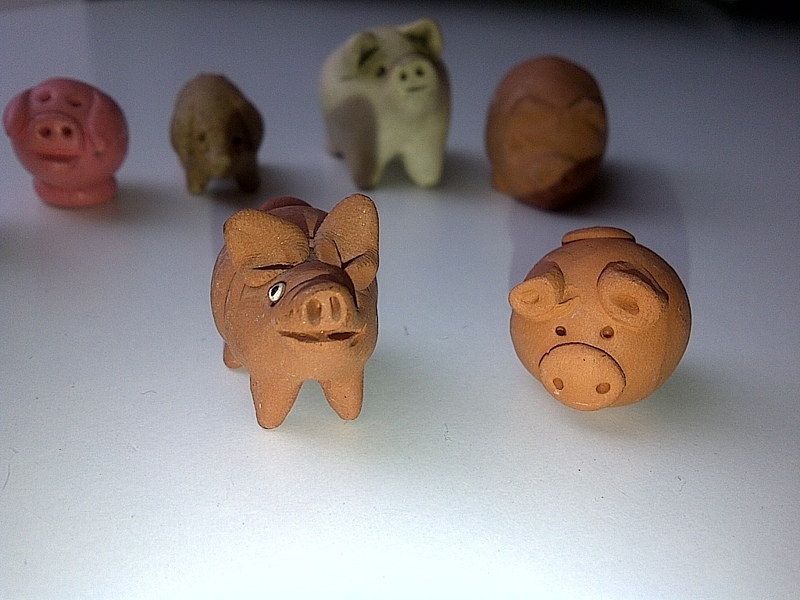 Austrians also have their own colorfully derogatory terms employing pigs to denote unsavory characters and behavior. But this just evidences their conflicted relationship with their four-legged smashed-snout, squiggly-tailed friends. On the one hand, if an Austrian calls you a pig (Schwein), you have every right to kick ‘em in the sausage. 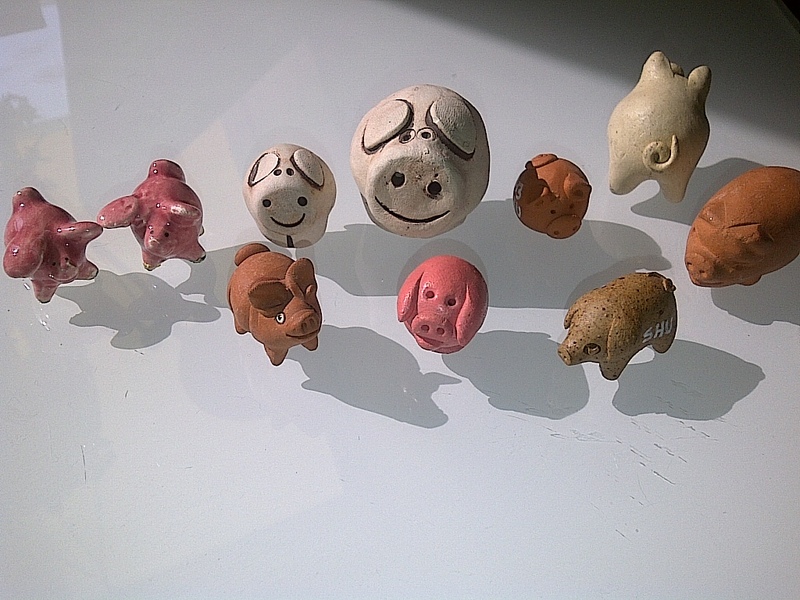 However, if he calls you a good-luck pig (Glücksschwein), you probably have something to celebrate and will be on your way to a Beisl and some Ottakringers because you obviously hat Schwein gehabt (had pig). 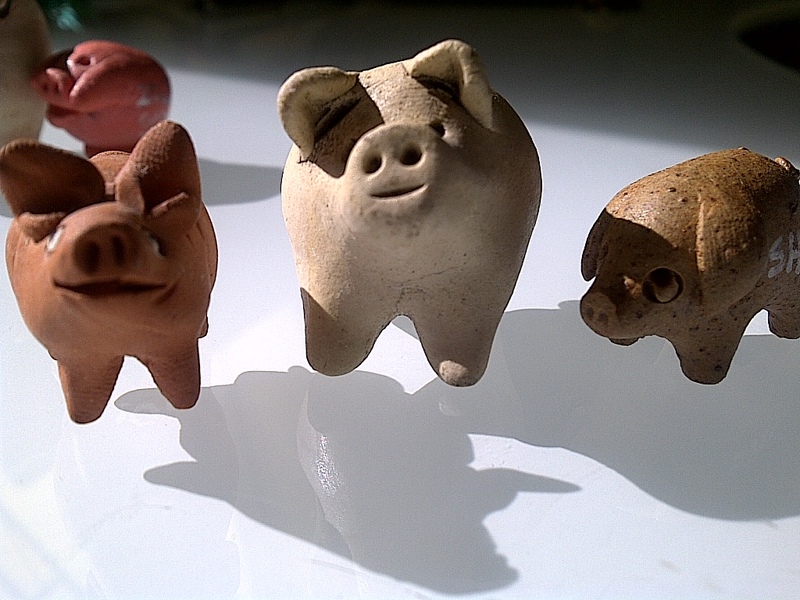 For centuries, pigs have been symbols of good luck representing wealth and prosperity. Got a pig then you got a meal. After all, pigs aren’t exactly high maintenance and demand no five star cuisines or upkeep. In Nordic mythology, the wild boar was considered holy, a pet of the gods and a symbol of fertility. For the Greeks and Romans, he who had many pigs was privileged and affluent. Archeologists have found helmets adorned with boar teeth and shield adorned with images of wild boars in the graves of ancient soldiers. And let us not forget the all-important piggy banks. Viel Schwein! – Much Pig! – Good luck!